If your business generates food waste of any type, you are responsible for ensuring its proper disposal. There are certain local regulations that are more stringent than those provided here. 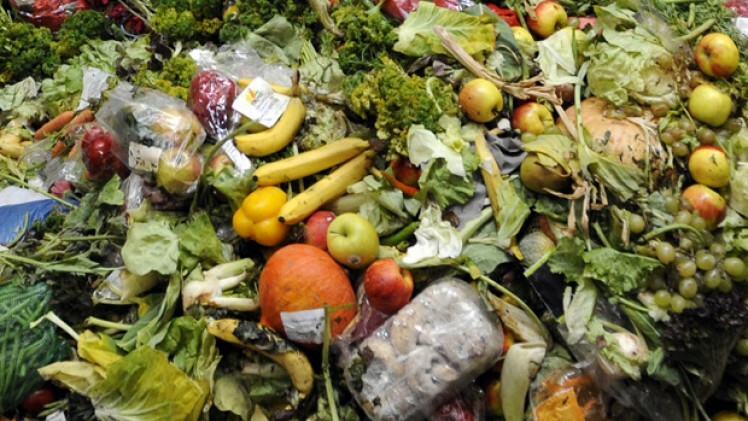 However, all businesses in the UK that generate any type of food waste are required to follow at least these minimum guidelines. If you think that going green costs too much money, it’s time to get in the know. It’s not all about organic produce and expensive products. When you shop smart and make informed choices, you can save yourself a shocking amount of money while benefiting the environment at the same time. Updating your home with eco-friendly appliances and necessities will certainly save you money. When you spend money on energy-efficient refrigerators, washers, and dishwashers, you probably feel like you’re losing cash. By the time you get around to updating your heating and cooling fixtures, you likely think it’s a bad idea. The thing you have to remember, however, is that these are one-time purchases; they’re only expensive once. Installing a programmable thermostat or buying appliances that use less water will save you money on your bills as time passes. The roof protects your home more than just about any other structure and it’s time to make the roof a priority again. You need to ensure that the roof you select for your home is going to be part of an energy saving framework. Other devices in your house have most likely been upgraded already to this framework, so your roof should share in this process as well. Let’s go into how to get the right roof, so you can protect one of the most important investments in the world: your own home! Green roofs are measured in two different directions in terms of performance: the thermal emittance and the solar reflectance. If you don’t know what those terms are, don’t worry; we’d be more than happy to explain. You see, the thermal emittance is a value that reflects how the roof releases the heat it absorbs. The scale goes from 0 to 1. The ones that go the closest to a solid 1 are going to be the top performers. This same scale is used for solar reflectance, which is a measure of how the sun is reflected off the roof. Are you trying to lower your cooling costs in the summer? Then a green, efficient roof is definitely a great fit. But if you’re in an area that experiences cool summers and very chilly winters, your heating bill may take a nasty spike. Knowing this upfront will help you choose the best roof for your needs. The summer savings could very well dwarf your heating costs, giving you a net positive yield for the year. 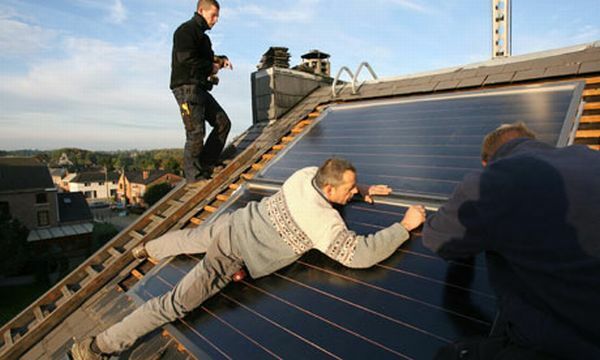 Overall, this trend in energy efficient roofing seems to be here to stay. So as you protect your investment, consider installing a quality roof. Many contractors have now taken the energy optimization movement seriously, and should have no problem implementing such a roof onto your home. Save copies of the receipts, especially if you plan to sell the home later. Prospective buyers love seeing home improvements, and a new roof just symbolizes peace of mind and security for a new homeowner. 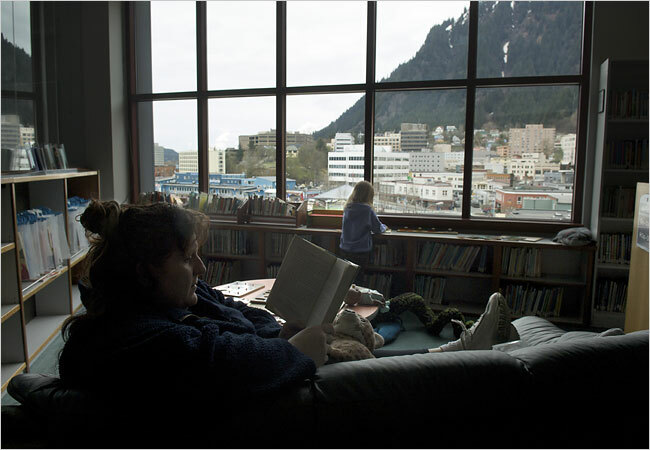 Back in 2008, Juneau residents, who suffered a temporary 450 percent electric rate increase in May due to an avalanche that destroyed a hydro-electric transmission line, have shown us the future. It was a “teachable moment” when Alaska Electric Light & Power announced that, until the line was repaired, the utility would use backup diesel generators to provide electricity, passing the high cost of fuel on to consumers. Overnight, the price of electricity jumped from 11 cents per kilowatt-hour–about the national average–to around 53 cents/kWh. This would have increased residents’ utility bills from an average of about $90 to over $400 per month. The shock drove electricity customers to conserve about 30 percent of the energy they normally would have used. Doing so would cause their monthly payments to drop down closer to $300, still far higher than Juneau residents normally experience. Painfully, one kilowatt at a time, by consciously conserving energy at every turn. Lights in homes and businesses were kept dim or dark, electric appliances were left unplugged, thermostats were turned way down. Some public buildings were closed. Elevators and escalators were turned off. Even airport runway lights were darkened, except for the moments before takeoff and landing. But for all their conscious effort and not a little physical suffering, they only managed to save 30 percent of the energy they normally use to run the city and run their lives. And let’s face it: living in a dark, 50 degree home isn’t anybody’s idea of comfortable. Looking at Juneau’s energy data soon after the avalanche, the city dropped from using almost 1,000 megawatt-hours per day to a low of 550 MWh per day. Once the cheap hydro-electric power rates were restored, residents gradually increased their energy use. By mid-July, their daily electric use was still below 2007’s, but within 100 MWh. So what’s the answer–I mean, the long-term, realistic answer to the inevitable energy rate hikes we will all face in the near future? One of the first measures Juneau residents put into place during the crisis was installing energy efficient light bulbs–mostly CFLs. One reporter noted that these bulbs flew off the shelves within a few days of the avalanche. By investing in CFLs, consumers stumbled upon the principle of relying on energy efficiency to reduce the energy we use over the long haul, versus energy conservation measures for short-term emergencies. This book started as an e-course, but has been updated with the latest tips and methods, developed and tested by “Energy Saver Dave” himself, through years of research, trial and error. This truly is “the most comprehensive e-book about saving money on your utility bills” that you can buy. The story began when Dave’s utility bills got so bad, he had to be put on budget payments and his wife got a second job just to pay them. That’s when he got mad enough to take radical action. As he laid awake at night worrying, he didn’t get any bolts from out of the blue. So, he decided to survey every inch of his house. He was surprised to discover holes, cracks and gaps he never knew existed. That’s when he realized he was throwing money through all those cracks – too much money! Dave worked his way through the entire house in a few months, tackling each crack and gap one by one. The results when he was finished? A savings of nearly 60 percent on his electric bill! What surprised Dave is how simple each fix or improvement turned out to be. He realized that anybody could do what he had done and cut their utility bills in half. Each lesson gives you the fixes to make and the theory behind them. At the end of the lesson, you get specific instructions for how to do the repairs, as well as the cost, estimated effort, and approximate savings. The steps are simple, and often illustrated with photos Dave took himself–for a visual learner like me, these are invaluable. And all the fixes and repairs Dave recommends are completely legal, without bypassing building codes and regulations. A note about the format: I used nearly an entire pack of paper to print out the book, which may not the best way to conserve resources. You could print just a section at a time, as needed. Plus, it’s formatted with a large font and double-spaced to make it easy to read from the screen or on a portable device. Energy efficient light bulbs, whether CFLs or LEDs, are a good idea any time of year. But with long winter nights looming, and electricity rates on the rise, it’s time to stop procrastinating. Before you go to the hardware store, though, take a few minutes to survey the incandescent light bulbs you want to replace. How many bulbs of each wattage will you need? How many on 3-way switches? How many flame-shaped candelabra bulbs? How many decorative globes? How many track lights, spot lights, flood lights? And what kind of base for each (standard size, candelabra, bi-pin)? Any light fixtures on a dimmer switch? Make sure you buy bulbs clearly labeled “dimmable.” Yes, they are out there, but they cost more than other energy efficient light bulbs, and you might not be satisfied with the results. So buy one and test it out before investing in more. Any lamps on electronic timers or photosensors? Be sure to read the package carefully. 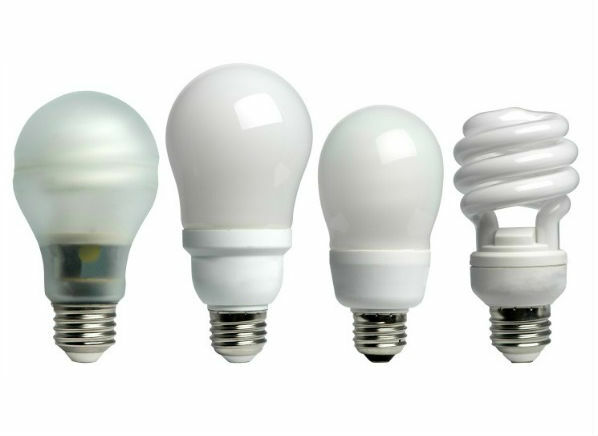 CFLs and LEDs are different animals than incandescent bulbs and most don’t always work well with these kinds of controls. Also remember that energy efficient light bulbs don’t come in the same wattages as the incandescent bulbs you’re replacing. So, if you want to put an energy saving bulb into a fixture that uses a 60-watt incandescent, you’ll need about a 13-watt to 19-watt CFL or LED. The bulb package will give you an “equivalent” incandescent wattage. Or you can compare the lumens–the light output–to make sure they are about the same. Yes, you’ll save money on your electric bill by switching to energy efficient light bulbs. But take the time to do it right.